The first car in Nissan India’s portfolio to receive the AMT-treatment, the new Terrano AMT gets the same ZF-sourced 6-speed Automated Manual Transmission that debuted on the Duster. The new Nissan Terrano AMT is aimed at the fast-increasing population of Automatic Small SUV buyers. However, the fact that the Terrano AMT is pitted against more modern rivals like the Hyundai Creta, and also against its more feature-laden cousin, the Duster, can’t simply be overlooked. So, is the new Terrano AMT late to the party? We recently spent a couple of days with the Terrano AMT to find our answers. 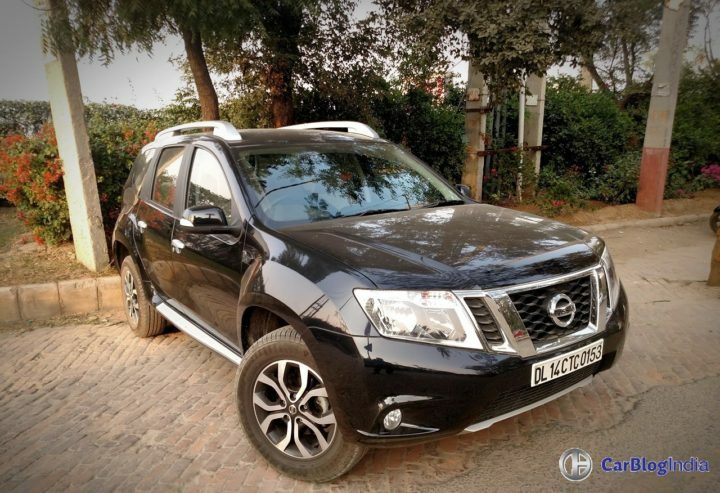 Our Nissan Terrano AMT test drive review here will tell you about our experience. Soft touch plastics on the dashboard, and door trim. Automatic warning for emergency braking. The Terrano AMT is available only in the top-of-the-line XVD trim, which means you get bits like stylish Alloy Wheels and Bluetooth-enabled Audio System. Also, the latest set of updates works well to make the Terrano a tad more premium. However, all said and done, the Terrano can certainly do with a comprehensive visual overhaul; the design is getting a little too long in the tooth now. Even the features list can do with some more additions. The Terrano’s critically-acclaimed 1.5 K9K Diesel engine has found a good partner in the new ZF-sourced 6-Speed Automated Manual Transmission. The Terrano AMT has a peak power-torque output of 110 PS-245 Nm, which, when combined with the well-calibrated AMT, offers brilliant tractability and acceleration. In the Eco mode, which can be selected from a switch on the centre console, the gearshifts take place around 2,000 RPM, thereby enabling you extract a high fuel efficiency. 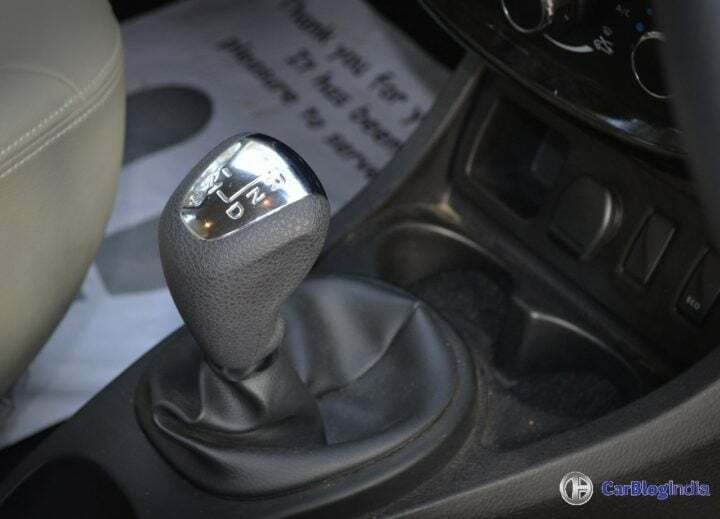 Switch off the Eco mode, put the pedal to the metal, and the AMT will hold on to every gear till around 5,000 RPM. 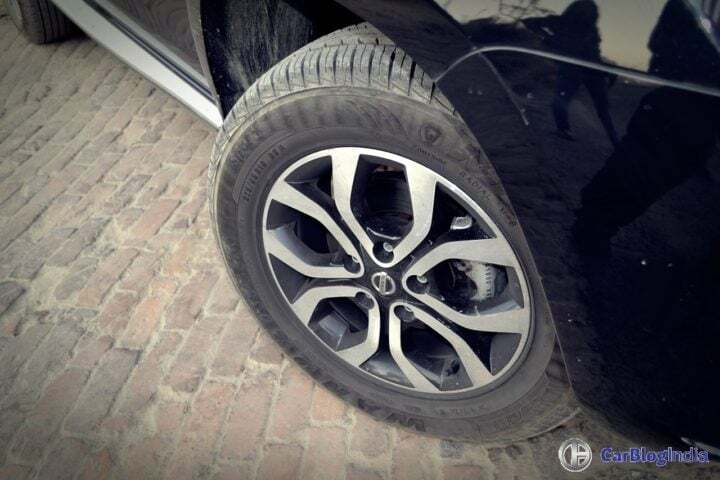 And boy does it reward with you with a much more spirited driving experience! True, in a manner typical of AMTs, even this transmission doesn’t offer lightning-fast shifts, oh no, far from it. However, the lag between gearshifts is a lot less noticeable that what we’ve experienced on some other AMTs. Under most driving conditions, you won’t mind the few extra fractions of a second this gearbox takes to toggle between the gears. And then, there’s the really likable manual mode, which helps you override the electronics and shift gears at will. Overall, the Terrano’s AMT is a very likable unit. True, there’s a discernible pause between the gearshifts, but it’s a really very small price to pay for the added convenience from automated gearshifts. 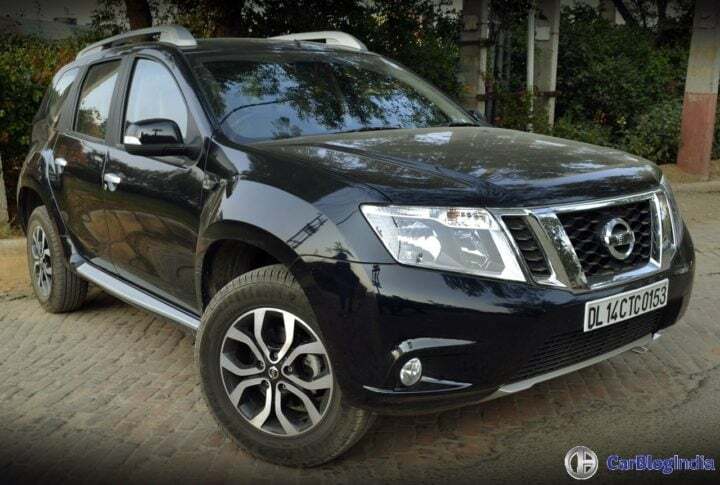 Well, the Terrano has always impressed us with its potent Diesel motor, clean and inoffensive looks, and the exceptionally matured ride quality. And now, thanks to the advent of the AMT variant, the Terrano has got even more practical. However, at Rs 13.75 Lakh (ex-showroom, New Delhi), the Terrano AMT is priced dangerously close to more modern and feature-laden models like the Hyundai Creta. Which brings us back to the initial question of whether you should buy the Terrano AMT. Well, the AMT does make a lot of sense over the regular (Manual) variants, but the Terrano really requires a thorough update to pose any threat to its more modern rivals. So, what do you think of our Nissan Terrano AMT test drive review? Do let us know by commenting below. Stay tuned to CarBlogIndia for more reviews like the Nissan Terrano AMT test drive review we have here.